Firebrand of Liberty tells the story of the black and white Union soldiers and civilians who in 1863 carried out a daring expedition deep into enemy country to try to liberate slaves—an episode now nearly forgotten, but which changed the course of the Civil War. It was, by any reckoning, a curious military expedition. There was no other like it during the American Civil War; perhaps there has never been another like it. Although shaped by strategy, it was born of idealism and redemptive fervor. Its mission evoked reactions ranging from exultation to horror. It ended in frustration, wrath, and flames. This is the first book-length treatment of a remarkable moment in American history, and the first to reveal its full significance. It is also a fascinating portrait of real people in the maelstrom of war, men and women whose desires, convictions, and deeds shaped history even as they were swept along by its sheer force. This absorbing narrative of a little-known Civil War campaign adds a key dimension to our knowledge of black troops in the Civil War. The capture of Jacksonville, Florida in March 1863 by a Union regiment composed of free slaves had important consequences. Its success convinced the Lincoln administration to go forward with the large-scale recruitment of black regiments. Stephen Ash tells this story with flair. 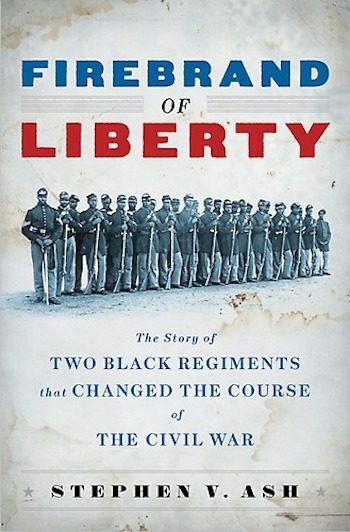 … an intense chronicle of the battlefield … illuminating an obscure but gallant episode of the Civil War.